Fan Focus. Your new chairman and board. Welcome back Indy Reds! We’ve got a special post and fan focus up for you today. 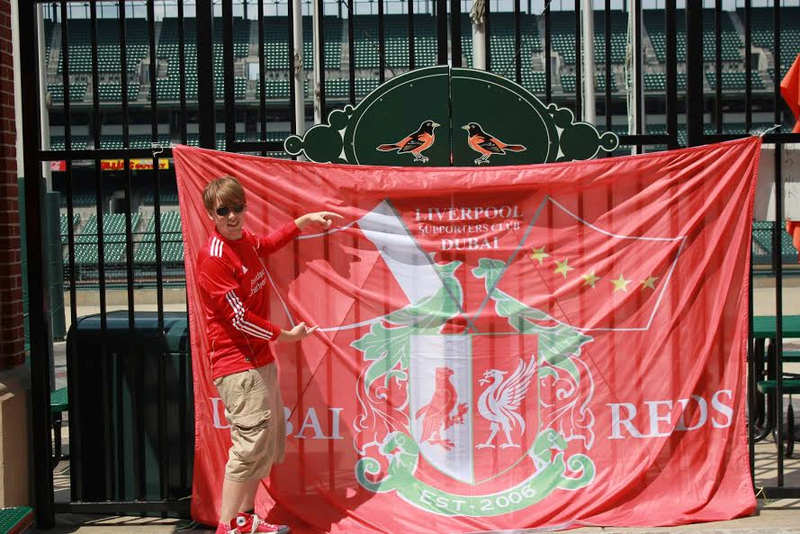 As most of you know I(Nile) made the decision to step down as chairman of the Official Liverpool Supporters Club of Indianapolis. Well we are here today to announce that Trey Higdon will be your new Chairman of LFC Indy. Helping him and you out and rounding out the board will be Bryan Smith as the Vice Chairman and Boback Lotfalian. The board will stay this way till the end of the season then it potentially will be expanded. I have complete faith in these 3 to take LFC Indy onward and to the next level. Trey has a good background in PR and photo/video skills which I think will be great for the Supporters Club. He is young and passionate about LFC. I look forward to watching him take on this task. So in honor of your new chairman here is an Indy Red Fan Focus. I can actually thank my brother, Kyle, for this. He has been a huge Liverpool supporter since his high school days. While I may not have been as exposed to it when I was younger, his persistence to getting me to get back into soccer has brought me where I am today. In addition to that, I would have to say the camaraderie and spirit the team and the fans exude is awe-inspiring. It’s the sense of brotherhood and togetherness I feel when I’m sitting at UJ’s or at home watching a match that makes me proud to say that LFC is my team. My first and my favorite memory can be answered together. 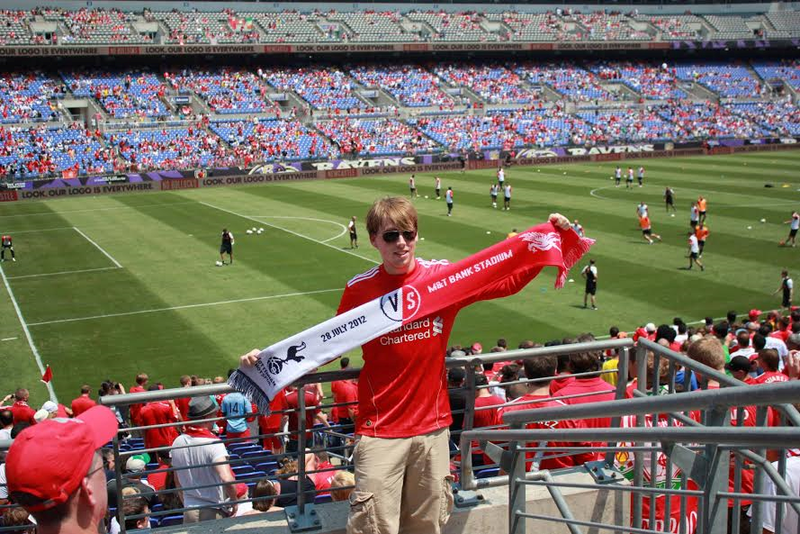 In 2012, I had the privilege to see LFC take on Tottenham in Baltimore. Probably one of the most rewarding experiences of my life. It is extremely satisfying to say I was able to see Carragher and Gerrard play with a Liverbird upon their chests. It was also nice to see Sterling play before he became a total prat. The attendance at the match that day was 42,723, but it was like walking into a sea of red with all of the LFC supporters lining the stadium. Like most fans that I’ve seen, I make sure to wear my jersey and kiss the crest. Sadly, I wasn’t into soccer a whole lot at this point in time, so most likely I was at work. Although, I have seen the match since then. Tough choice, but I would say either Sakho or Rossiter. Both players are skilled beyond belief, have great attitudes and have enough energy that would rival the Kop with a full house. Easy, Daniel Agger. Apparent skills aside, Agger is the true definition of loyalty when it comes to players who have worn an LFC kit. While others may disagree, I’m quite partial to the 14/15 Third kit (black and gray striped with red and black stripes going across the body). Well, if time travel existed, I would travel back and slap Rodgers on two separate occasions: Letting Suarez and Gerrard go. 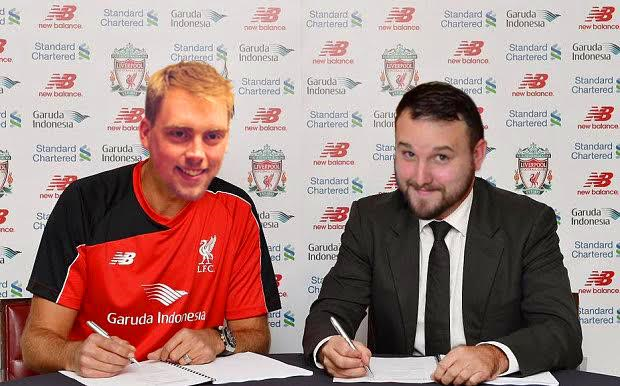 I suppose in the realm of “reality” without time travel, I would make my primary focus less on transfers for the day and put my effort towards solidifying a permanent position for Klopp. This Is Anfield, Mirror UK, Metro (Rebecca Perry). No other place than Indy’s Anfield, Union Jack’s. Rossiter. The kid has spirit and passion not only for the sport, but for LFC. Very Gerrard like in most of his views towards being an LFC player. It’s always refreshing to see him beaming ear-to-ear, win or lose, after getting to play. While it was far from the best game (and not the best way to send off a legend), I’m going to have to say Gerrard’s final goal for LFC. We may have lost 5-1, but that one point signified the end of an era in LFC and EPL history. Being able to bear witness, even on a TV screen, to a momentous event such as that is very humbling. I have! In Baltimore. Sadly, I had to miss the Chicago game. I look forward to seeing them play in the states again (not to mention the possible trip to Anfield in the future). I’m a huge supporter of Indy Eleven. Many of you may have seen my photo coverage for Press Row Sports on their site or my blogs (though shameless self-promotions). I’m also a Pacers fan. As far as hobbies go, I’m an avid disc golfer, musician and photographer/videographer. I plan on making photos and videos a more integral part of LFC Indy’s social media presence. So many to choose from! Such a difficult question and I hate to limit myself, but I’m going to say either a Sun King Osiris or Tow Yard Horse Power (but I’ll drink any decent IPA). Like I said above, the camaraderie. More often than not, I’ll wear one of my jerseys while I’m out and I’ll be guaranteed to have someone shout “You’ll Never Walk Alone” or have a very enthusiastic exchange about the most recent/upcoming match. Last time I wore my Gerrard jersey to a Pacers game, I had an entire row shout “YNWA” repetitively and cheer as I walked down the stairs. The best part about being an Indy Red is being able to go to a common meeting place and have it feel like a home away from home. The first time I attended a game at UJ’s, I was welcomed with open arms and I am now proud to say my fellow Reds are like family to me. I am excited to move forward as chairman, in hopes that I can strive to provide the same experiences for all newcomers to the SC. Even if I provide that feeling towards one new face in our very own sea of red, I have successfully done my job. Once again a giant thank you to all of the Indy Reds and some folks from the other supporters clubs who have helped us to grow and be where we are at today. It was a great 2 1/2yr run for me. I look forward to taking in the matches as a fan and being one of the Indy Reds. 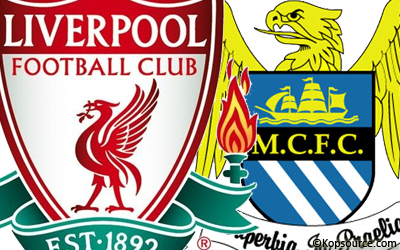 Saturday 12:30pm Kickoff LFC take on City away at the Etihad. Be sure to get out to Union Jack Pub for the match. It will be packed in there. Another large match we here is happening in Spain, good news is UJ’s plans to put everyone watching El Classico and normal people eating lunch over on the Restaurant side. All of the Indy Reds(and the few city “fans” will be on the bar side) Make sure though to get there early to get those seats and tables snatched up. Look forward to seeing everyone Saturday. Nile Smith-Founder and Proud Indy Red. 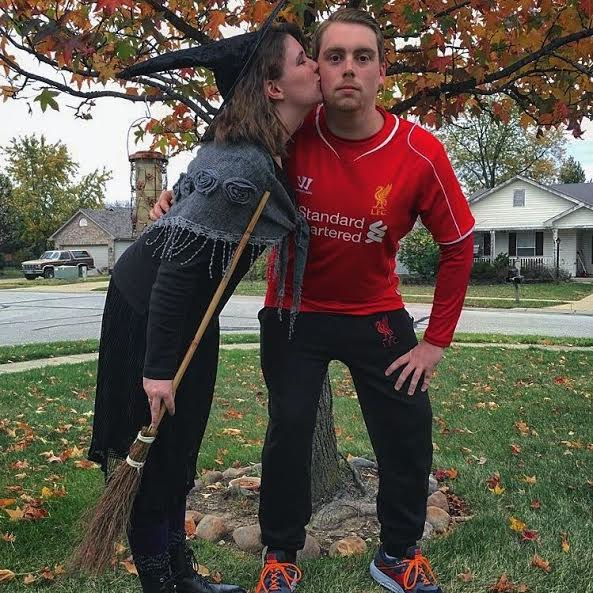 This entry was posted in Indy Red Fan Focus, Uncategorized and tagged Fan Focus, Indianapolis, Indy, Indy Reds, LFC, Liverpool, YNWA on November 17, 2015 by LFCIndy. ← Thank You. Face In The Crowd.